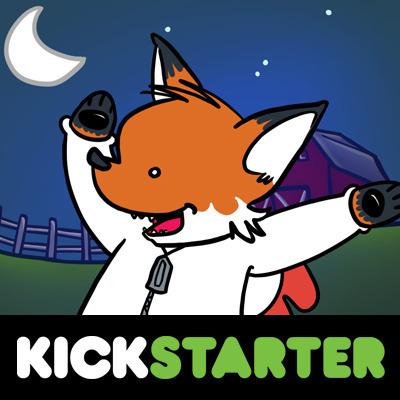 This week we’re starting off with a Kickstarter Weekly! So let’s get rolling! This edition of the Kickstarter classic is being packed out with new game components, some new promo cards, and a new double-sided game board! $50 gets you a copy of the game and some cool promo goodies! Check out the campaign here! 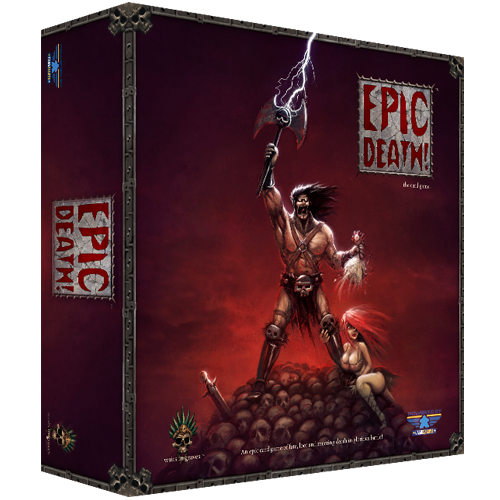 In this card game players control a party of adventurers seeking the glory of battle and attempting to achieve the most “Epic Death” to create a great legend for themselves. Of course, their opponents are trying to kill them off in the lamest way possible. The campaign funded in just one day, so you can bet they’re gonna smash some stretch goals! You can score a copy of the game for a pledge of $35, and secure yourself all of the stretch promos as well! Check it out here! As we said in our last Kickstarter Weekly piece, Jason Tagmire of Buttonshy has launched the first campaign under the Buttonshy brand. Storyteller Cards are a creative tool for writers, teachers, game masters, game designers, etc. If you’re looking for a cool tool to get your creative juices flowin,g this is it! 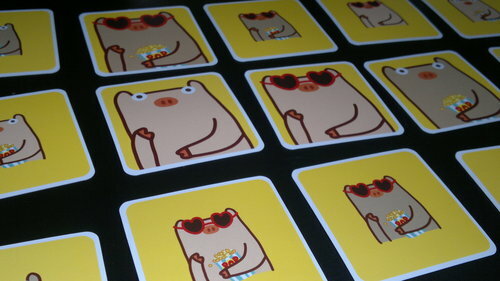 The campaign is halfway funded and it only takes $10 to get yourself a deck of the cards! You’ll find all the details here! 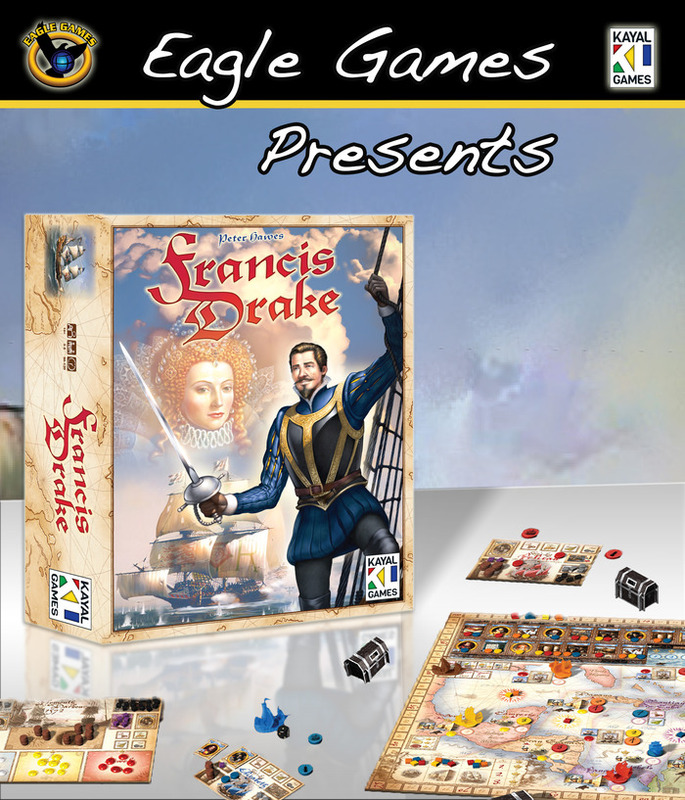 The campaign for Francis Drake has been a smashing success and is going to fund! There is still time to jump in on this one but it closes this evening! $59 scores you a copy of the game and helps them hit another stretch goal before the clock runs out! Check it out here! Yes, you have arrived at TheologyofGames,com; no, we haven’t changed to a livestock or 4-H blog. 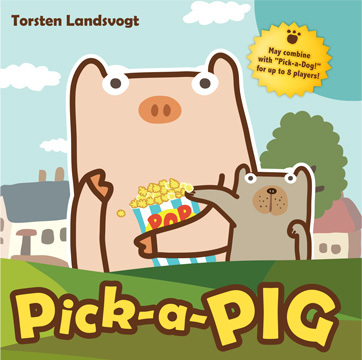 Today we’re giving you our thoughts on a nifty set of sister games from Gryphon Games called Pick-a-Pig and Pick-a-Dog. Each of these games is identical—with one significant distinction: one features a pig on each card, and the other… wait for it…a dog! Deal each player one card (which is called their Captain Card) and then deal out a 5 x 6 grid of cards, face up. Put the rest of the cards aside. (left) Mr. C getting off to a good start. (right) Mr. X checking his cards after a round. 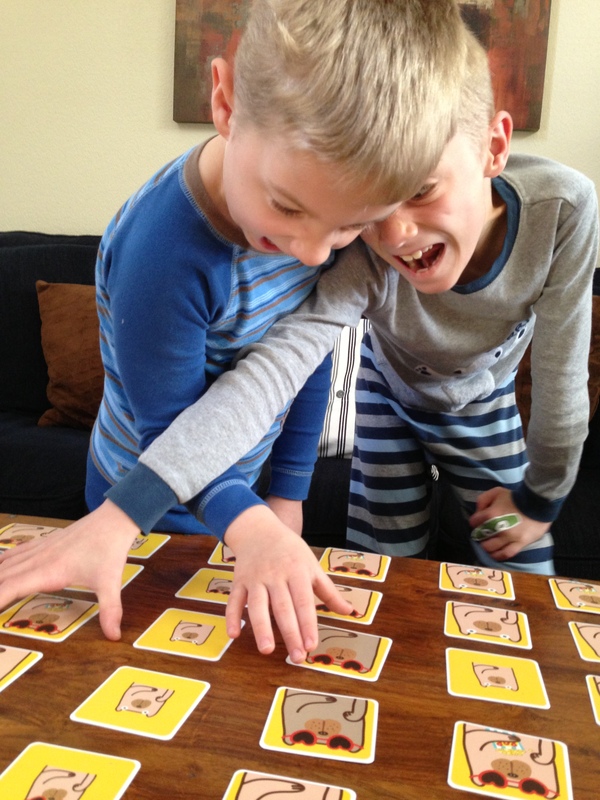 On the word “Go!” each player tries to find a card matching their Captain Card, or a card that has only one attribute that is different from their Captain Card. If they find such a card, they grab it and stack it face up on top of their Captain Card, and then search for a card that matches—or only bears one difference from the new top card of their stack. This is not done in turn: Players are reaching for cards, throwing elbows, flicking the backs of others’ hands, etc. trying to make a mad grab for their cards all at once. 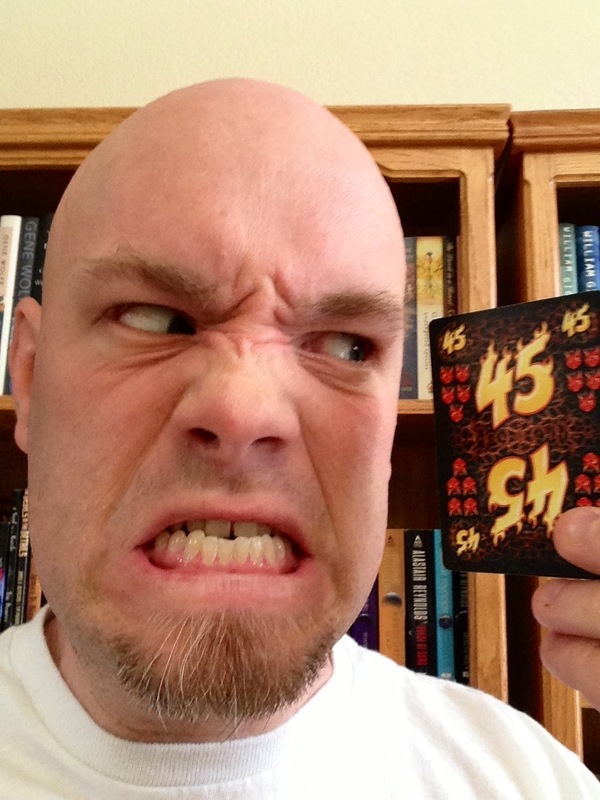 Once a player has determined that they can no longer legally grab a card, they slam their hand down and yell “STOP!” Everyone double-checks to see if the player who yelled stop was correct; if they were, they get to add an extra card from the grid to their pile. If they jumped the gun, they discard all the cards they gathered that round. Then all the players lay their cards out in order to check that they made no errors; if they didn’t make mistakes, they keep all of their cards (which count for 1 point at the end of the game); if they made even one error, they lose all of those cards. Then each player is dealt a new Captain Card, the grid is refilled, and a new round begins. The game is over when there are not enough cards to refill the grid (usually after about 3 rounds). The cards are counted and the player with the most wins! A single set of either game supports 2-5 players, and adding the two sets together will allow you to play up to 8 players, and also allows for an additional one difference: the animal species itself! Kids/Families? Absolutely! The game plays fast, and is easy to learn! Veteran Gamers? Probably not! It’s a fast filler, but just not very deep. So leave this one home and play with the family. Party Game? Probably! Again easy to learn, and brings out a little competitive edge in folks. Youth Groups? Yep! The narrower the age gap, the more competitive it gets. You could totally run a tournament around this game, because of the speed in which it plays! The Firestone boys scrambling for cards! Jeremiah—First off, I really like this game, but I probably won’t bring it out at a game night. My kids and family love it and we have lots of fun with it, but it’s just not a “Daddy’s game night” sort of game. Firestone—Yeah, there’s no reason to ever bring this to game night with my regular group. But that’s fine; it’s not aimed at that audience. 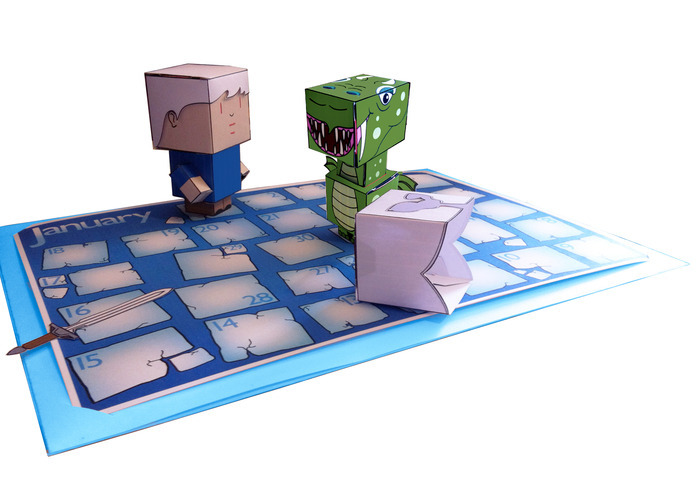 Jeremiah—It’s designed for ages 8+. My oldest will be 7 in a month, and he does well with it. Our youngest is almost 5 and he doesn’t do so well with it. Firestone—Yeah, our 5-year-old was on my “team” and he kept grabbing the absolute wrong cards…the little stinker. But he’ll be ready for this in a couple of years. My wife seemed to enjoy this one, too. It might be because she and her Type-A personality CUH-RUSHED us. Any game my wife likes is a win in my eyes. Jeremiah— We’ve had the game only a few weeks and the boys love it; we’ve brought it out to play with the grandparents and friends. 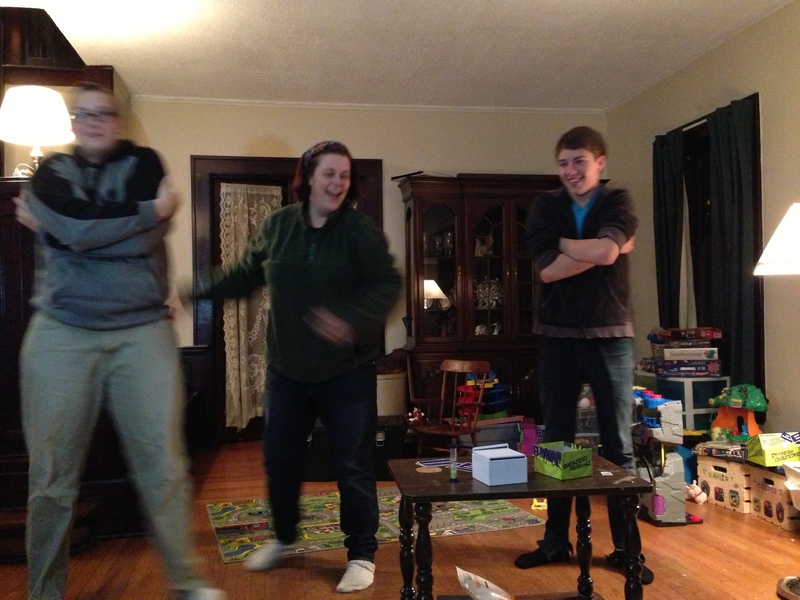 We’ve combined the games and played with 7 players—it’s sheer pandemonium! 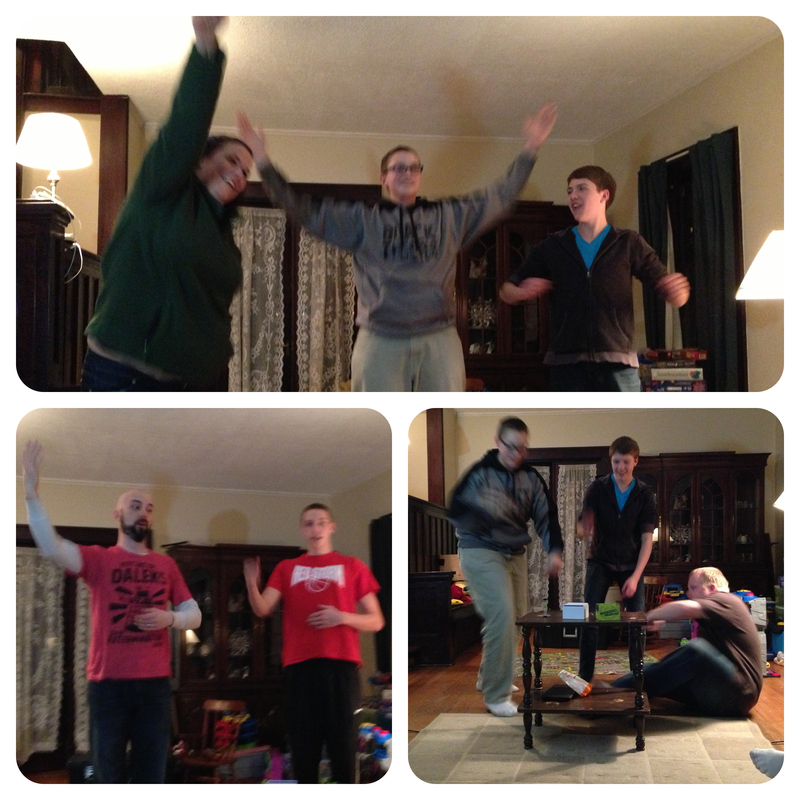 Lots of vicious competition, and good clean fun! Firestone—My one complaint is that—as someone who’s color blind—I had a little trouble telling the color difference between the cards. In fact, the difference was so subtle to me that we played two rounds before I even remembered that was a thing… Once I was intentional about it, I could tell the difference—I just had to try harder to see that difference. Not a big deal at all, but it’s there. 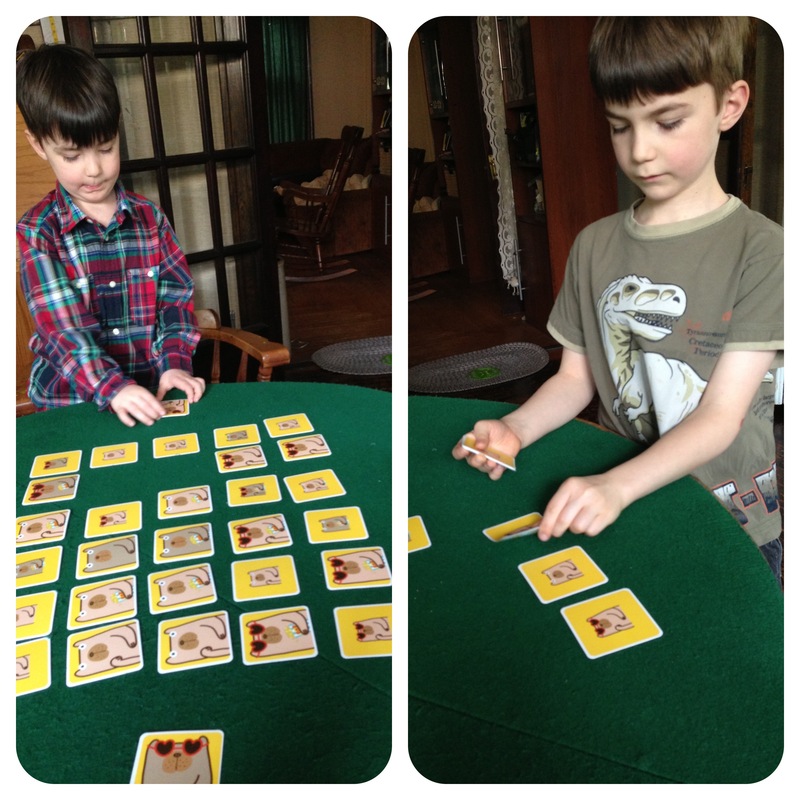 Jeremiah Final Thoughts— Pick-a-Pig, Pick-a-Dog is a great set of family games that you can play when you may not have a lot of time. Pick it up; this is a no-brainer! It plays fast, it’s competitive, and you can teach new gamers how to play in about 90 seconds. The more we play it, the better we get at it, and the more fun it becomes! Firestone Final Thoughts—The MSRP on these is a mere $10—who can argue with that price-point? 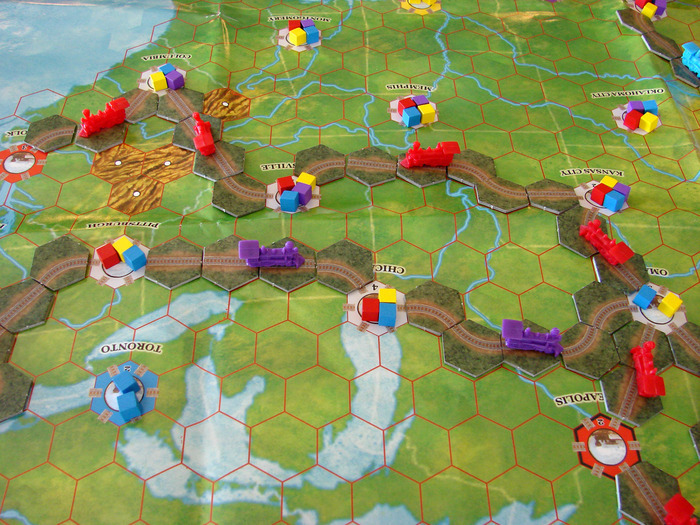 It’s a great, cheap family game that plays in 10 minutes…and I’m just awful at it. Usually, we here at TOG agree on games. 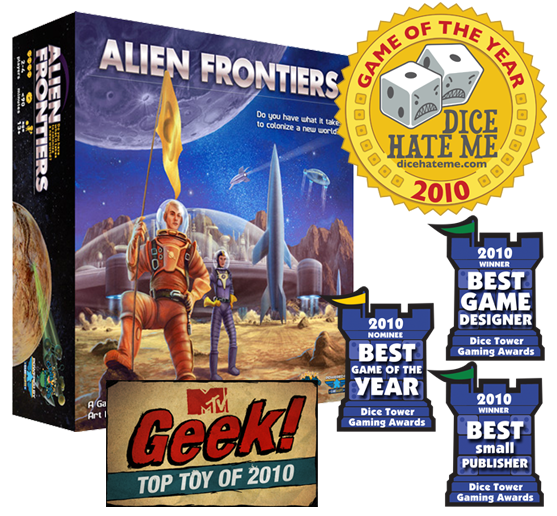 There are some games, after all, that are just good, solid games and there is nothing to disagree about—and things are nice and civil here on the blog and it’s all “Hey, you’re right, I love that about this game!” and “Oh yeah, I totally agree with you about that!” Well…not today, folks. 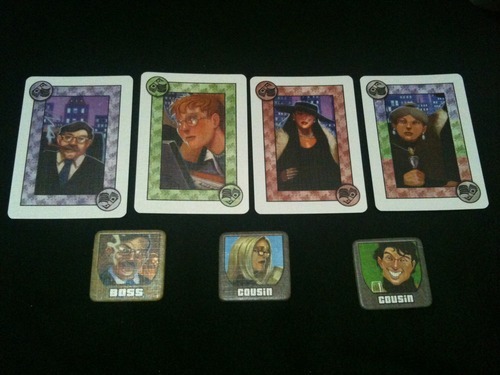 We received copies of I’m the Boss: The Card Game from Gryphon Games to review. And let’s just say, there’s a bit of a difference of opinion. The game length is a set amount of rounds, depending on the number of players. Each player takes turns being the boss; they will either be the boss once, or twice—again, depending on the number of players. 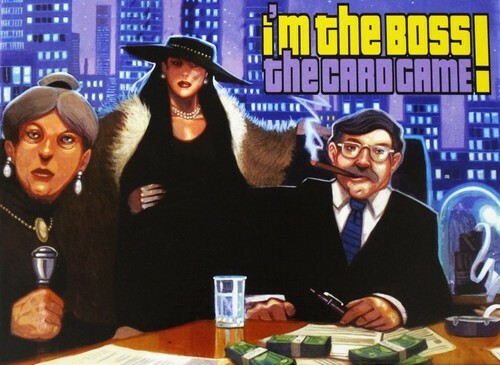 The Deal—Once players have been dealt their cards (8-10 depending on the number of players), and been given two “I’m In/Pass” tokens, the boss starts the deal by playing a card. The color (1 of 3) of that card played is now the color of the deal, and all cards played during this deal must be of that same color. Once the deal is started play continues around the table. Player turn—On their turn a player may choose two different actions: 1) play a card, or 2) pass. If they choose to pass they do so by turning over one of their “I’m In” tokens to the “Pass” side; once they have turned over both of their tokens to the Pass side, they are out of the deal, and can no longer play cards, or have cards played on them. Here are their options should they choose to play a card. Dollar value cards—Playing these cards will affect the value of the deal; there are both positive and negative values on these cards. If you’re not in the deal, you may want to throw negative cards in to the mix to stop folks from making a ton of money while you’re left with nothing. Piece of the Action cards—This card gives you just that: a piece of the action. This is how you get in the deal if you are not the Boss or a Cousin (we’ll explain Cousins in a minute). One thing to clarify though: It does not divide the deal further; it is actually a multiplier. For each Piece Of the Action card in front of a player they either receive or pay the final value of the deal multiplied by the number of Piece Of the Action cards AND add another for being the Boss or a Cousin. These cards do not have to be played in front of you; you can play them on any player at the table (as long as they haven’t passed twice this deal). It’s the perfect way to help out an ally, or destroy an enemy when the deal is in the negative! Reverse cards—These cards reverse the value of the deal for the player who has it played front of them. Say it’s a huge deal; well maybe you’ll toss a reverse value on the person next to you—or if the deal is way in the red, you can salvage it for yourself and leave the rest of the players holding the bag. You can also save yourself from a reverse card with another reverse. Having an odd number of these cards in front of a player means the value is opposite of the deal as it stands; having an even number means you’re in at face value. Move cards—These cards have a value printed on them from 1-3. They allow you to move cards either a) from the deal to the discard pile, b) from in front of you to another player or the discard pile, or c) from another player to in front of you or to the discard pile. They’re a great way to steal someone’s Piece Of the Action, or get rid of a negative card in the deal, etc. The Boss has one more power each round: He or she gets to select who their cousins are by handing them a Cousin token. (The selection of cousins is negotiable; you can bribe, coax, and lie your way into getting that cousin token!) Players who are either the Boss or a Cousin will be getting a piece of the action. The Boss doesn’t have to give it to anyone, but won’t get anything extra for not handing it out. And the same person can’t get both Cousin tokens. Once all the players have passed twice (these passes don’t have to be both in a row, you can pass on one turn and jump back in and play a card on the next), the deal ends and players get cash according to their Boss/Cousin status and how many pieces of the action they’re getting. One important thing to note is that as the game progresses, the payout will scale from 2x to 5x. After all the rounds have been played players count up their cash and the richest one wins! Jeremiah—I’ve probably played this games at least a half a dozen times over the past month. The game is sometimes luck (depending on your hand, and the color of the current deal), but at all times it is about outsmarting, and outbluffing the other players at the table. Firestone—I’ve only played this with gamers. At first I thought it might be a light negotiation game I could bring out with nongamers/casual gamers, but it’s just too clunky for that, I think. Jeremiah—It is true that there may be deals you can’t impact very well, or much at all due to lack of cards. I always look at those times as opportunities to bluff my way into a cousin token, pass twice to get out, and make a new enemy. That’s what I enjoy about this game: Sometimes it has everything to do with how you play the cards in your hand. Others it has everything to do with how you play the cards that aren’t in your hand. Firestone—The luck of the draw is what ultimately killed this for me. We played with 5, so there were only five rounds. The way the payouts scale (from a start of 2x up to 5x), you’d better hope you’re in a good later round, because if it’s a positive payout x5, and you’re not involved, welcome to to not-first-place. Unfortunately, with three suits there will likely be rounds you’re completely out of because you don’t have any of that suit. (This happened multiple times to multiple people.) Sure, you can try to bluff your way into a Cousin token. But with nothing to contribute, that’s tough. Plus, what if it’s a negative payout? You have no way to change your circumstance. Just sitting there with nothing to do for one (or more) of the only five rounds was lame. Jeremiah—The components are well made, definitely no complaints there. Of course I always would prefer room in the box to sleeve the cards though. Firestone—I agree on this point! 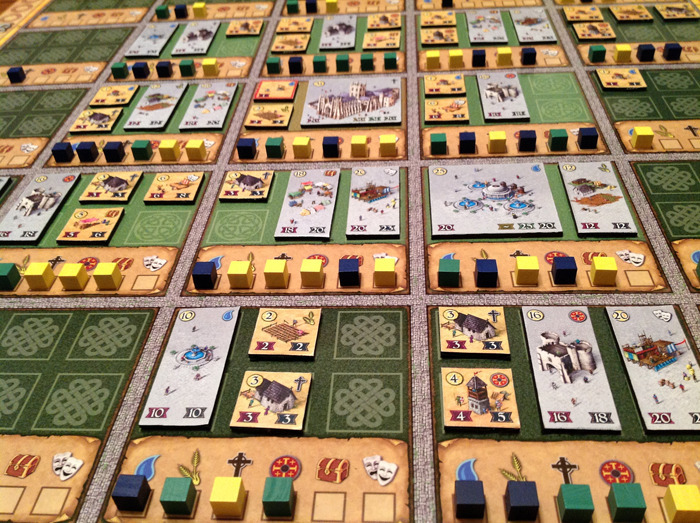 The components are high quality—the tokens and disks are chunky and the cards have a nice linen finish on them. Jeremiah—There’s just a warm spot in my heart for games like this, that cause good friends to have overly suspicious staring matches, and make idle threats. I’ve literally caught myself, in full out good fellas mode saying things like “If you make me your cousin, I won’t be your enemy,” to a very good friend of mine—and I meant it! Firestone Final Thoughts—This game was just too swingy for me. Also, the Move 3 card just shouldn’t exist: that thing is way, WAY too powerful. I wanted to like this; I’ve liked all of the other games in Gryphon’s Bookshelf series that I’ve played. This one just fell completely flat for me. But I’m glad Jeremiah likes it so much! 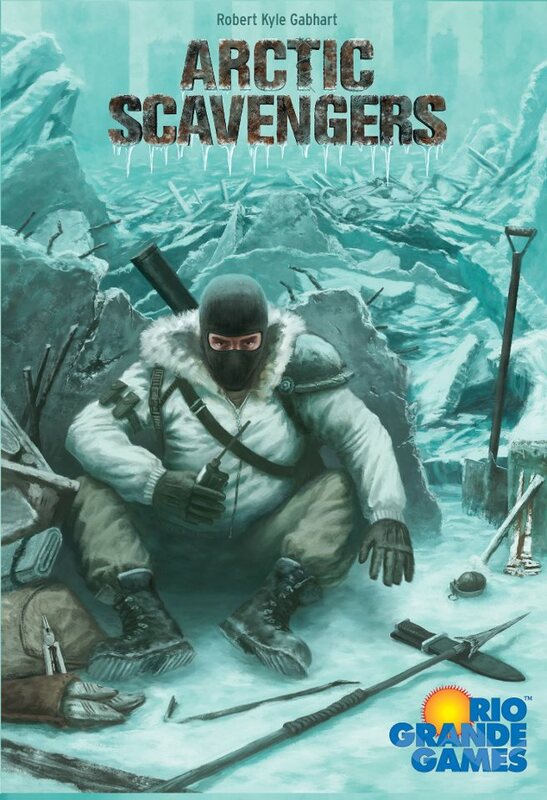 Jeremiah Final Thoughts—I’ve played this game with my veteran gamer friends, and the casual gamers alike, and we’ve all had a great time, many laughs, and more than a few icy stares thrown in one direction or another. While card management can be tedious from time to time, the over-arching mechanic is to be devious and outsmart the other players, not the game. And that I appreciate. I’ve won the game a few times, and I’ve lost a few (mostly because I was wrapped up in trying to tank other players and forgot to take care of myself) but every time I’ve had fun. Well there you have it, folks. PROOF that we don’t have identical taste in games. Which one of us do you agree with? Let us know in the comments. Thanks for reading!